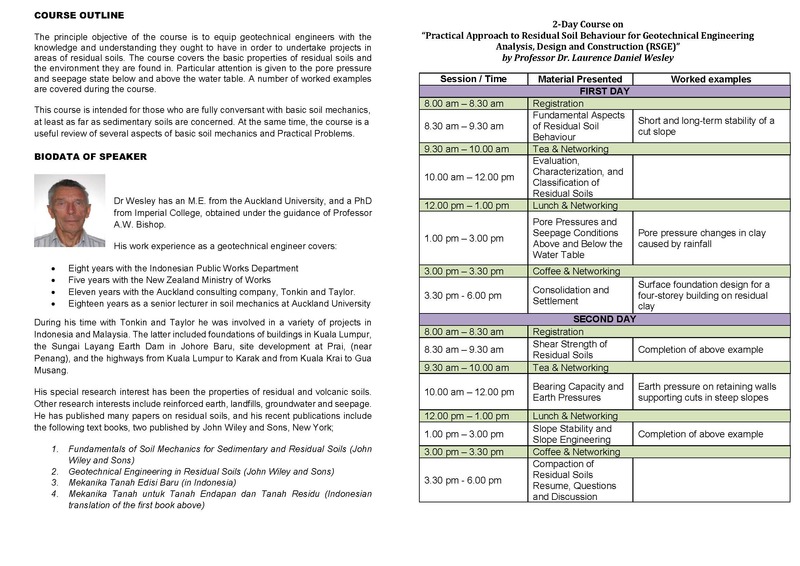 The Geotechnical Engineering Technical Division of The Institution of Engineers, Malaysia (IEM-GETD) is organising a 2-Day Course on “Practical Approach to Residual Soil Behaviour for Geotechnical Engineering Analysis, Design and Construction (RSGE)” by Professor Dr. Laurence Daniel Wesley in Kota Kinabalu, Sabah and Kuching, Sarawak respectively. 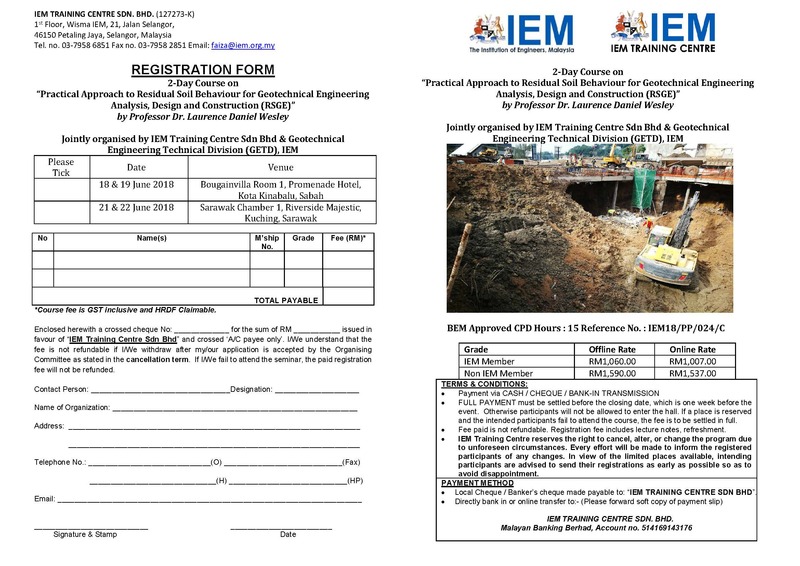 The event is managed by IEM Training Centre Sdn Bhd (IEMTC). In our effort to ensure success of the event, we are appealing to your esteemed company to participate by way of exhibition, sponsorship financially or advertisement in the bound course notes, therefore, we enclose herewith a copy of the flyer and exhibition booking form for your information and look forward to your positive response with anticipation. 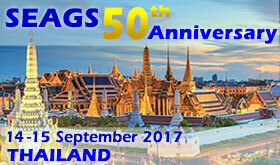 We look forward to your support and contribution to jointly make this event a success.